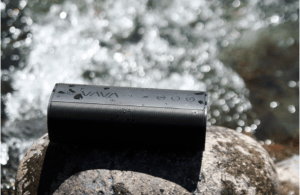 VAVA, a dynamic group of forward-thinking audio creators, have added to their innovative line of speakers with the cutting-edge VAVA Voom 20 Series. Blast the volume to feel the greatness of two 8W drivers and two passive subwoofers for earth-shattering bass and a new way to experience sound. Vava lets you keep the party going regardless of setting with the IPX5 splash proof rating, rechargeable 5200mAh lithium-ion battery, and connectivity abilities which allow Bluetooth, NFC and AUX cable connection. With their progressive outlook and advanced craftsmanship, VAVA aims to deliver the ultimate listening experience. This line of bluetooth speakers can withstand the changing weather with ease, providing crystal clear playback anywhere, anytime. Today Epson introduced the next generation Expression Premium XP-640 Small-in-One. Designed for busy families, students on-the-go, and creative hobbyists, the XP-640 delivers a wide array of features including the ability to print 4” x 6” in as fast as 20 seconds. A versatile printing solution, the XP-640 delivers advanced photo printing applications including the ability to print lab-quality borderless photos that are scratch, water, and fade resistant. In addition, the XP-640 is a complete wireless solution offering Wi-Fi Direct to easily print directly from an iPad, iPhone, Android tablet, or smartphone – without a router. Plus, with the enhanced Epson Creative Print app, students and families can print and personalize collages using their favorite Instagram photos. Designed to simplify creative printing and photo sharing, the Expression Premium XP-640 includes a wide array of features. 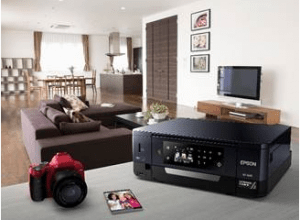 The Epson Expression Premium XP-640 Small-in-One (MSRP $149.99) is now available at major retail stores nationwide and at the Epson Store, www.epsonstore.com. For more information, please visit www.epson.com. Zus is a uniquely designed consumer electronics product that provides a wide range of advantages that no other accessory does. Not only does the ZUS Smart Car Charger power up multiple electronics devices at once with its dual USB charging ports, but it also locates your parked vehicle, tracks parking meter timing, and NOW the new ZUS offers even more benefits for consumers. There are several individual electronic devices and apps on the market now that singularly offer either phone charging or parked car locating or parking timer, etc — but none offers ALL of those capabilities in one unit, and none as easily as ZUS. Charge phones & tablets at 2X the speed of average car chargers via a powerful smartchip. Easily locate your car with the iOS and Android companion Smart Car Finder app. Find your car even when there is no cell service by leveraging the phone’s built-in GPS. 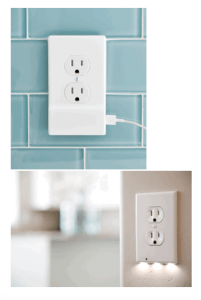 Light the way for easy USB cable hookup with ZUS’ ElegantShine lighting system. Withsta nd high temperatures due to its military grade build and built-in cooling system. Help you avoid parking fines with its parking meter alerts of meter expirations. Car Battery Health Monitor: When plugged in, the ZUS charger reads the car battery voltage and displays it on the ZUS app in both real-time and as historical data. The app will alert users of battery issues and complications. Multi-ZUS Connection: Users can now add multiple ZUS units to their car so that they no longer need to unplug or re-plug ZUS when they change cars. Users can get a ZUS for each car and the users phone will automatically connect to the ZUS in the car. Family Share: Any ZUS user can now share their ZUS account with family member or friends who can then view the sender’s real-time parking location. Reversible USB Ports: The new ZUS version has reversible USB ports so users can plug in their charging cables from any direction. A complimentary live video setup service is also available after the purchase of the product, making it easy to install and use. This is a perfect present for the traveler, businessperson or busy parent—allowing frequent travelers to stay current on their favorite shows and TV moments whether they are on the road for business or pleasure. The Slingbox M2 is available at retailers nationwide including Best Buy, Target, Amazon, Costco and Walmart for $99.99. 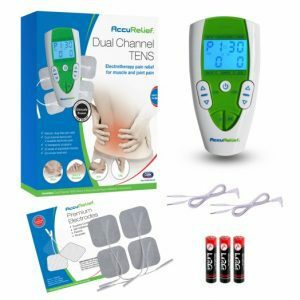 Carex Health Brands’ AccuRelief family of TENS devices. AccuRelief is a noninvasive, non-addictive, drug-free treatment alternative that uses TENS technology to provide instant relief for arthritic, muscular, or joint pain anywhere on the body. Perfect for checking the fitness/health enthusiast off your gift list, the AccuRelief works by blocking pain signals before they reach the brain using soothing, electrical pulses. Convenient, compact, and easy-to-use, the AccuRelief could also make an ideal stocking stuffer. For over 30 years, physical therapists and chiropractors have been purchasing these devices from Carex and prescribing them to their patients. Now, thanks to recent FDA approval, the same treatment devices are available over-the-counter—helping religious gym-goers and novice athletes alike conquer muscle soreness or aches & pains without messy creams or a prescription. SanDisk’s next-generation Connect Wirelesss Stick is great for the whole family to connect to store, share, and stream content. This user friendly device can easily free up space on their iPhone and iPad with 200GB of additional capacity. That means you can store every family moment throughout the next year without having to worry about running out of space! The pocket-size device is ideal for any parent or teen on-the-go since it doesn’t have any wires or needs the internet to function. With a starting price at $24.99 for 16GB, it is an ideal companion for the new phones and tablets gifted this season. CVS Pharmacy is a convenient location to pick up holiday gifts for everyone on your list! Whether you’re a list minute shopper or just looking for some fun, unique and unexpected drug store finds for your loved ones – you can find everything you need all in one place at an affordable price. The Power Xcel Light-Up Power Bank ($24.99) makes for a perfect stocking stuffer for anyone on your list! Perfect for family travel during the holiday season, this smartphone accessory comes with a suction cup smartphone stand – so you have everything you need when on-the-go. Available in select CVS Pharmacy store locations. 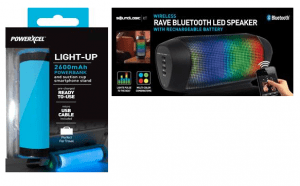 The Wireless Rave Bluetooth LED Speaker ($39.99) is a unique, fun and affordable gift to give this season! Bring the party with you wherever you go with this quality, colorful speaker. It’s equipped with a rechargeable battery, multi-color combinations, and lights that pulse to the beat and available in select CVS Pharmacy store locations. Your family is traveling to Grandma’s for the holidays, and arrives to find no one home. While you were on the road, Grandma had fallen, and a neighbor had found her and called 911 from her home. Unaware of this, you spend precious time trying to figure out what happened. Ooma [http://www.ooma.com]—a leading Internet home phone provider—is equipped with reliable E911 features that notify family members via text message when a loved one has called for help. UA Sport Wireless ($149.95) pairs JBL’s signature sound with Under Armour’s best in class premium sport performance. The wireless headphones are built for durability and to hold up against sweat and water, while boasting a new 2-piece ear tip design that gives users a more custom fit approach. 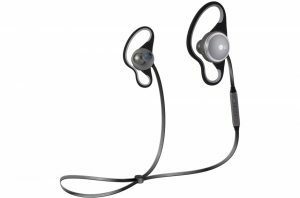 JBL Reflect Contour ($99.95) wireless sport headphones feature Bluetooth connectivity and Dual Lock technology for an extra secure fit during intense workouts. The sweat proof headphones include highly reflective cables for visibility during late-night sweat session and pack up to 8 hours of music and call time. The headphones are also equipped with a built-in microphone for crystal clear calls. AKG N60 NC ($249.00) The perfect travel companion with Active Noise Cancellation Technology, allowing listeners to block out sounds from planes, trains, buses, conversations among other travelers, etc. The AKG N60 NC feature an ultra-compact design and travel carrying case, making it easy for users to pack them in their carry-on. The 30 hour battery life allows listeners to never miss a beat, even during the longest flights and layovers. These headphones also produce a clear acoustic sound with a warm base response. 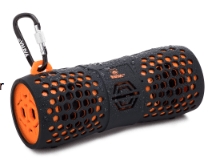 JBL Clip 2 ($59.95) is an ultra-compact, waterproof, portable speaker with a built-in carabiner clip for easy portability, like on a back pack when hiking. With 8 hours of playtime and Bluetooth connectivity, enjoy crystal clear calls thanks to the noise and echo-free speakerphone, so you can join conference calls away from the office. For even more amplified sound, the wireless daisy chain allows you to connect two Clip 2 devices together. The durable fabric and rugged rubber materials are built to last on all your adventures. The JBL Clip 2 can be purchased on JBL.com and at select retail locations including Best Buy and Target. The JBL Clip 2 is available in multiple colors. JBL Charge 3 ($149.95) is the ultimate, high-powered portable Bluetooth speaker with powerful stereo sound and a power bank all in one package. The Charge 3 takes the party everywhere, poolside or in the rain, thanks to the waterproof design, durable fabric and rugged housing. Its high-capacity battery provides 20 hours of playtime and can charge your smartphones and tablets via its USB output. A built-in noise and echo-cancelling speakerphone gives you crystal clear calls with the press of a button. Available in black, blue, grey, red and teal. • The JBL Charge 3 can be purchased on JBL.com and at select retail locations including Best Buy and Target. The JBL Charge 3 is available in multiple colors. Mohu’s newest product – the ReLeaf antenna. Mohu is the leading TV antenna maker. ReLeaf is the TV industry’s first eco-friendly HDTV antenna that is literally built from ‘ditched’ cable set-top boxes. One pound of plastic from discarded cable set-top boxes can make parts for 40 Mohu TV antennas! Over The Air (OTA) antennas, like ReLeaf, give viewers free access to broadcast networks, like ABC, NBC, FOX, CBS and more, that cable still charges monthly subscriptions for. ReLeaf is perfect for all ages because of its at-home set-up is easy and free – just plug the antenna into your TV, scan for channels and enjoy! Plus it easily saves money by cutting out costly cable subscription costs. Finally – a Bluetooth® headset solution that won’t break the bank. Engineered for endurance, the LG FORCE is an unstoppable companion for an active lifestyle. The customizable LG FORCE features an ergonomic design that conforms specifically to your unique ear shape and is IPx5 rated water and sweat resistant – allowing it to deliver superior sound to power your toughest workouts. 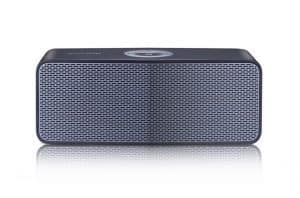 Get your groove on and turn any location into a party with the LG Music Flow P5 Portable Bluetooth Speaker! A lightweight 10-watt speaker that delivers powerful sound with up to 15 hours of battery life.